We provide personal DJ, Master of Ceremonies, and Live Music services for all types of events, from Weddings to Corporate Events. Don’t need a cake? That’s fine, you can book our DJ and Music Services separately. Give us a call to inquire about availability and to speak with Ezra about the plans you have for your event. Planning and office party or military ball? We can help you let your hair down in style with a specialized E and E corporate package! We can set up party games, prize giveaways, and help you dance the night away! What better way to set the mood than to have a live sax player for your cocktail hour?! If you would like to have a truly unique touch to your event, we can help. 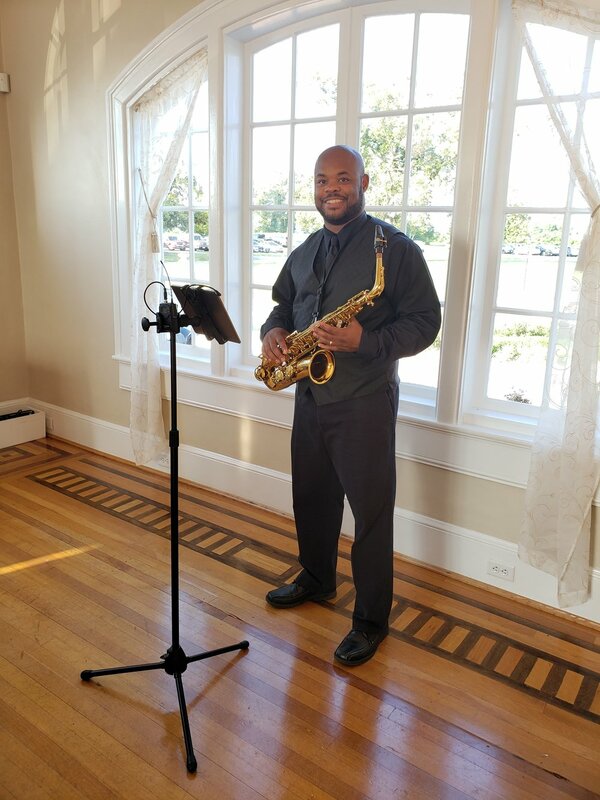 Whether you would like a saxophone , Duet, or Jazz Combo, Ezra would love to set up live music for you!